Chocolate!!! Where does it come from? 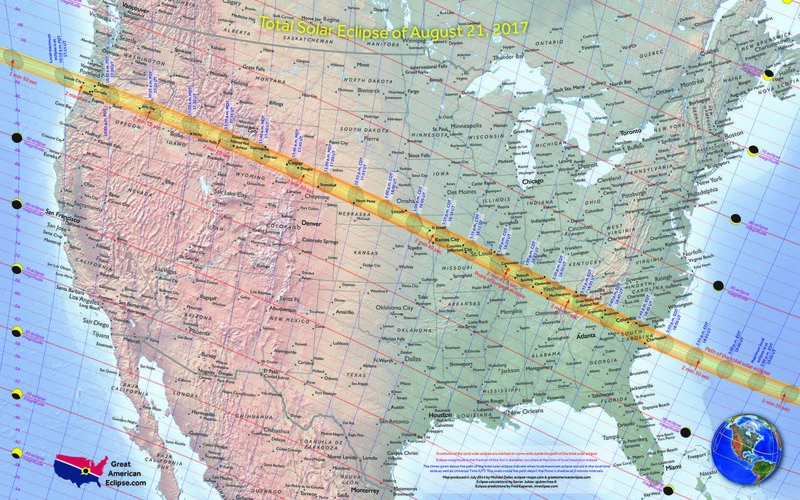 The August 21, 2017 total solar eclipse will be the first to cross a large portion of the United States in almost 100 years. 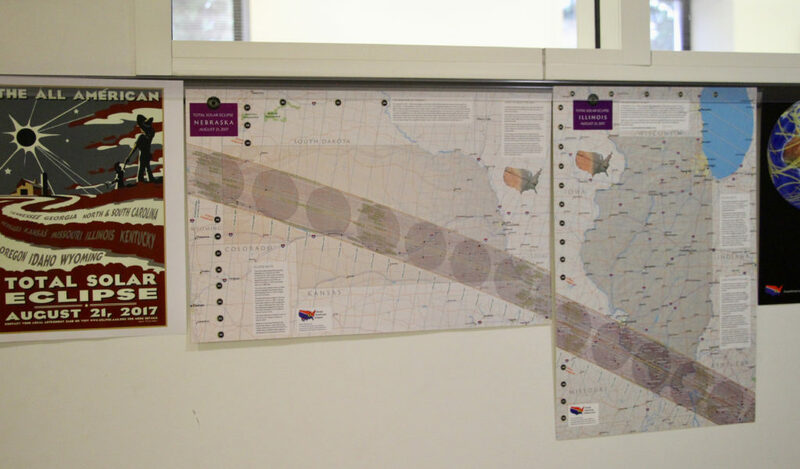 Our display includes a global map covering the 2017 & 2024 eclipses, detailed maps of the 2017 eclipse spreading across the U.S. from the West to East coast, journal articles, and a few eclipse books from our library! 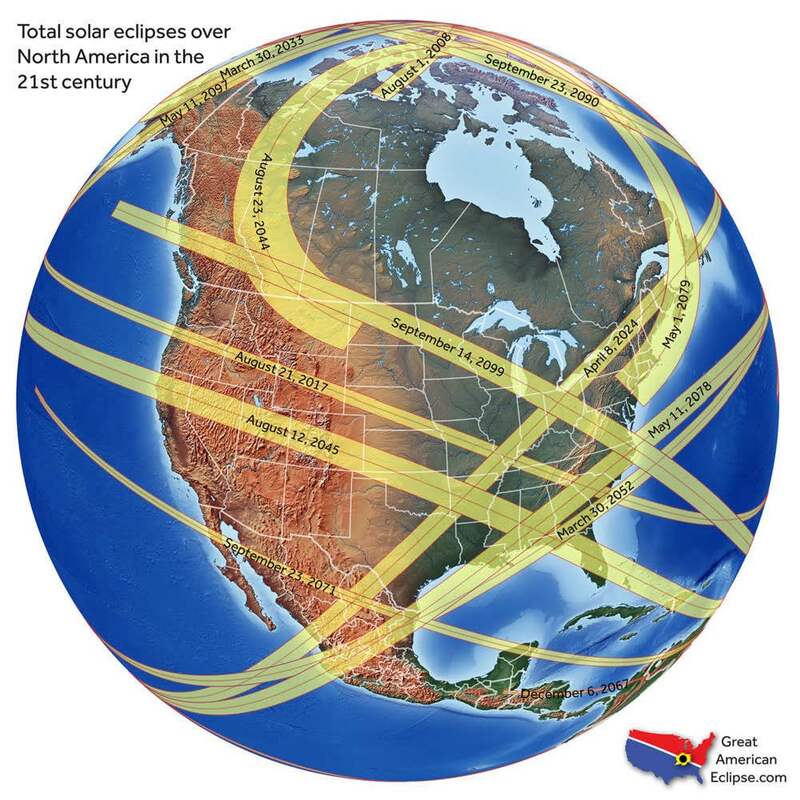 Many of the featured maps are by Michael Zeiler, a cartographer from Santa Fe, New Mexico, who creates visually stunning maps that document solar eclipses around the globe. Bonita Dyess (Circulation Supervisor) and Heiko Muhr (Map Metadata & Curatorial Specialist) collaborated to curate and design the exhibit, which is located in the exhibit case just outside the northern entrance to the Earth Sciences & Map Library in McCone Hall. 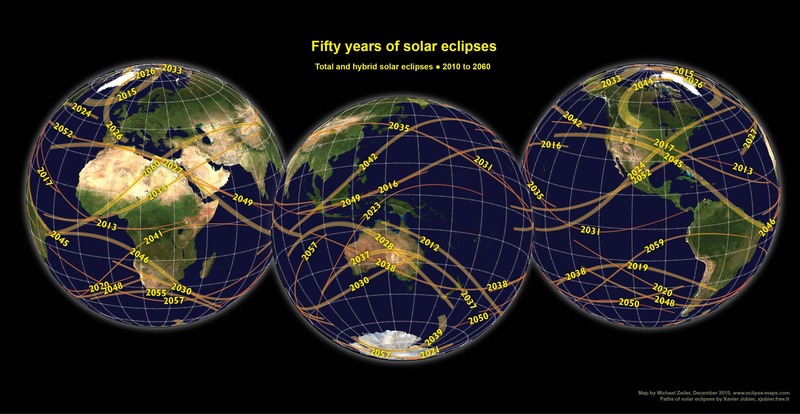 Shows zone of passage of eclipse totalities, time-lines of totalities in minutes o'clock, and central line of totalities on physical map base. Relief shown by gradient tints and satellite imagery. Relief shown by shading. 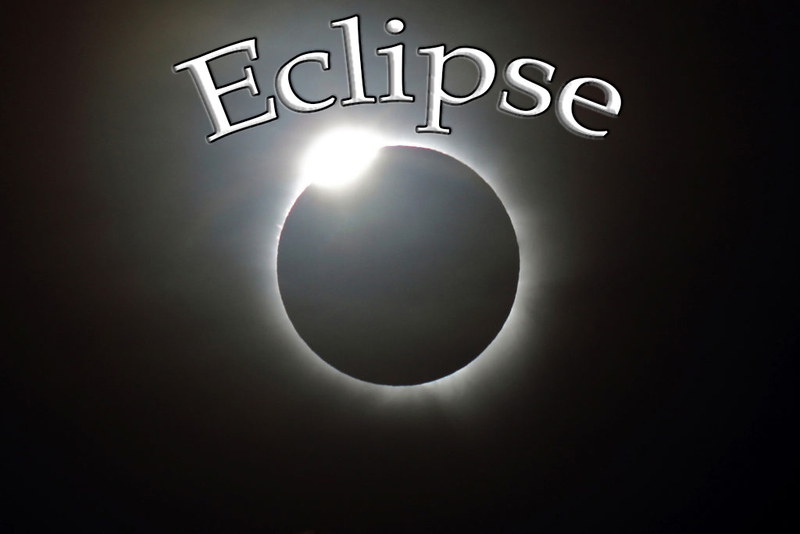 Includes explanatory text and Eclipse facts. Comprises three overlapping views of Earth, centered on Africa, Australia, and the Americas. In anticipation of the solar eclipses visible in 2017 and 2024, an exploration of the scientific and cultural significance of this mesmerizing cosmic display. Since the first humans looked up and saw the sun swallowed by darkness, our species has been captivated by solar eclipses. Astronomer and anthropologist Anthony Aveni explains the history and culture surrounding solar eclipses, from prehistoric Stonehenge to Babylonian creation myths, to a confirmation of Einstein’s theory of general relativity, to a spectacle that left New Yorkers in the moon’s shadow, to future eclipses that will capture human imaginations. Eclipses have stunned, frightened, emboldened and mesmerized people for thousands of years. They have been thought of as harbingers of evil as well as a sign of the divine. An amazing phenomena unique to Earth, they have provided the key to much of what we now know and understand about the sun, our moon, gravity, and the workings of the universe. 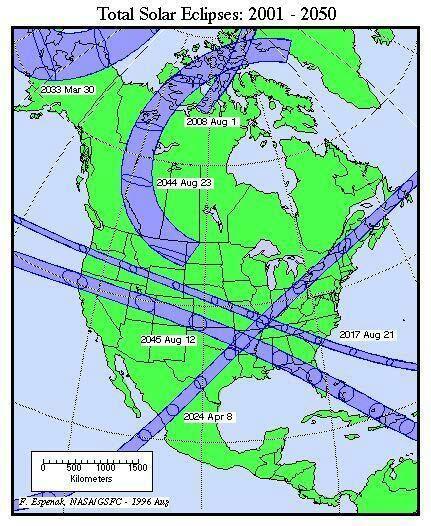 Dvorak provides explanations as to how and why eclipses occur-- as well as insight into the forthcoming eclipse of 2017 that will be visible across North America. 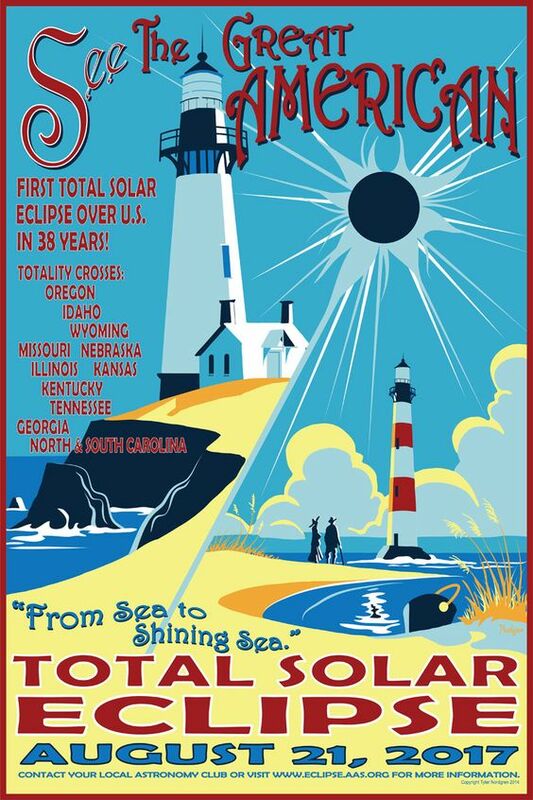 On August 21, 2017, more than ten million Americans will experience an awe-inspiring phenomenon: the first total eclipse of the sun in America in almost forty years. Astronomer Nordgren illustrates how this most seemingly unnatural of natural phenomena was transformed from a fearsome omen to a tourist attraction. From astrologers of ancient China and Babylon to the high priests of the Maya, this takes us around the world to show how different cultures interpreted these dramatic events. Eclipse Exhibit in the news!